Soon after Samsung's flagship phones - Galaxy S9/S9 Plus were released, Huawei P20/P20 Pro have been launched on March 27, 2018. Both of Samsung Galaxy S9/S9 Plus and Huawei P20/P20 Pro have attracted the attention around the world. With Samsung phone and Huawei devices are so popular among people, transferring data between Huawei and Samsung phone has become a hot topic for users. If you are looking for the way to transfer data from Huawei to Samsung phone, you have been the right place. This article will show you 2 different ways to switch data from Huawei to Samsung Galaxy S9/S9 Plus. To switch from a Huawei phone to Samsung phone, the smartest way is to rely on a professional Samsung Switch Assistant - Phone to Phone Transfer (Windows/Mac). With it, you can effortlessly transfer everything you want from one phone to another. 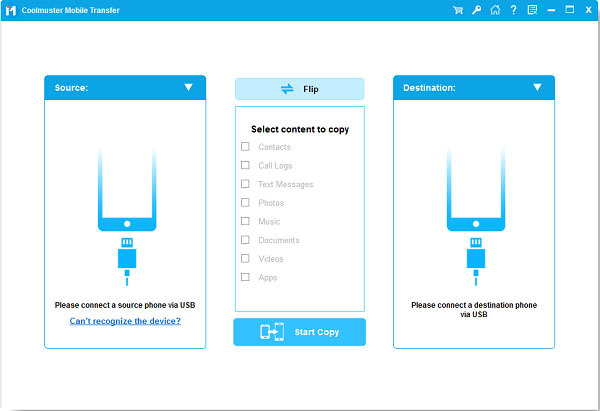 With the Phone to Phone Transfer tool, you can easily transfer all kinds of files from Huawei to Samsung phones, including, but not limited to, contacts, text messages (SMS), calendars, photos, music, videos, call logs, apps and more. You can select the desired file types and transfer them in batches from Huawei to Samsung with or without clearing the existing data on the target phone. There is an available button called "Clear data before copy" for you to decide whether to delete your phone data or not. 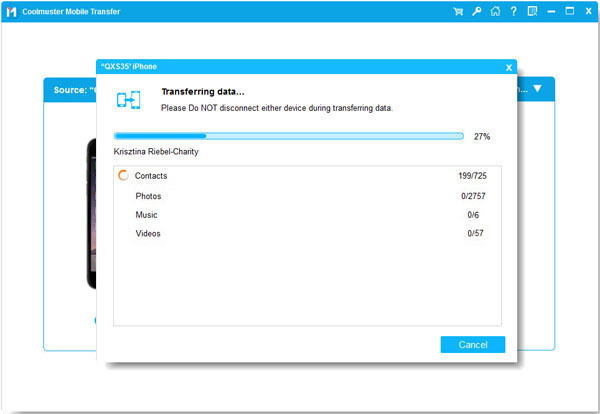 In fact, with the Phone to Phone Transfer tool, you can freely move data between any two phones, no matter your phone is Android phone (Huawei, Samsung, LG, Sony, Motorola, ZTE, etc.) or iOS device (iPhone, iPad, iPod). And this program is fully compatible with almost all smart phones, so you can certainly switch data from Huawei to Samsung Galaxy S9/S9 Plus as well. For Samsung phones, it is compatible with Samsung Galaxy S9+/S9/S8+/S8/S7/S6/S5/S4, Samsung Galaxy Note 8/Note 7/Note 6/Note 5/Note 4, Samsung J3/J3 Pro, Samsung Galaxy A9/A8/A7/A5 and etc. Besides, the program not only offers the Phone to Phone Transfer mode, but also the other 3 modes: Back Up Phone, Restore from Backups (iTunes backup/iCloud backup/Kies/BlackBerry/OneDrive) and Erase Your Old Phone. So you can choose the mode you need to perform the program and manage your phone data as you requested. Below are the free trails of the program in Windows and Mac version, please download the right version on your PC or Mac computer. Then refer to the following instructions to learn how to use the Phone to Phone Transfer tool to transfer data from Huawei to Samsung phone with ease. Step 1. Connect two phones to computer and make them detected by the program. At the beginning, please launch the Phone to Phone Transfer and get two USB cables to link your Samsung phone and Huawei phone to computer. Thus the program will automatically recognize your devices, and you might see the main interface with four different modes. Simply choose "Phone to Phone Transfer" mode for transferring data from Huawei to Samsung phone. Step 2. Make sure both of your devices are on the right sides. Then you might see your Samsung phone and Huawei device are displayed on both sides while the transferable contents shows in the middle side. Firstly, please check if there is a "connected" notification under your both devices to confirm your phones are successfully connected to the program. Then please check if your Huawei phone is displayed on the left side (Source side) while Samsung phone is on the right side (Destination side), if not, click "Flip" button in the middle to change the position. Step 3. Choose desired contents and start to transfer contents from Huawei to Samsung Galaxy S9/S9 Plus. Before transferring data, you can decide whether to delete data on your Samsung phone or not by checking the option of "Clear data before copy". Then you might select the contents that you want to transfer from Huawei to Samsung in the middle side, such as Contacts, Text messages, Photos, Music and etc. And then click "Start Transfer" button to begin transferring data from Huawei to Samsung phone. Before long, all selected contents will be moved to Samsung phone from Huawei immediately. You can check the transferred data on your new Samsung Galaxy S9 or S9 Plus freely as you like. Transferring data from Huawei to Samsung phone, Smart Switch is also an optional way. This can help you transfer contacts, text messages, calendars and more from a phone to Samsung phone, such as Samsung Galaxy S9 or Galaxy S9 Plus. Also, it provides you two ways to transfer data between two phones, that is, transferring wirelessly or via USB cable. Now, let's go through the instructions as below to see how to sync data from Huawei to Samsung Galaxy S9. Step #1. Firstly, please Download Samsung Smart Switch app from Google Play Store, then install and launch it on both of your Huawei and Samsung phone. Then you might be asked to choose the way to connect your two devices, either "USB CABLE" or "WIRELESS". Here let's select "WIRELESS" for example. Step #2. On your Samsung Galaxy S9, please tap "RECEIVE" button when it prompts "Select what this phone will do", in order to set up your Samsung phone as a receiving device for receiving files from the sending device. Step #3. On your Huawei phone, you need to set up it as the sending device (source device). To do so, simply tap "SEND" button on screen when it asks you to "Select what this phone will do". Step #4. On the next screen, please tap "CONNECT" button on the source device to connect your Huawei phone and Samsung phone for sending data. Later, the one-time password or PIN number will be offered for you to match these two devices for creating a secure connection. Step #5. When your phones are connected with each other, you can view and select the transferable contents under BASIC INFORMATION section on Huawei phone, such as contacts, SMS, calendars, memos, call logs and etc. After selection, please tap "SEND" button. Step #6. Later your Samsung phone (receiving device) will get a notification, telling you like that "Huawei P20 wants to send you some content". Just tap "RECEIVE" button to begin receiving data from Huawei phone. Step #7. Wait for a while till the whole transferring process is completed, you will be noted that your contents have been successfully transferred. 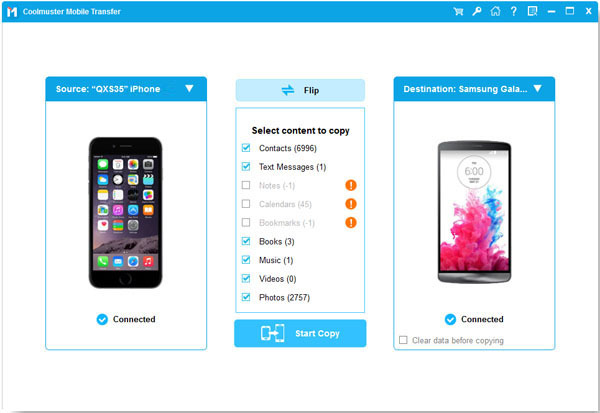 And you can access and manage your files on Samsung phone freely as you like. Now, you have 2 solutions to transfer data from Huawei to Samsung phone, you can choose one of them according to your needs. Personally I think, the first solution is better, because the Phone to Phone Transfer tool contains many different functions. It not only allows you to transfer data from Huawei to Samsung phone (or from any phone to another phone), but also enables you to backup data, erase data, restore data with ease. Believe or not, just give it a try!